The number of refugees and migrants waiting to be granted asylum or deported came to 62,407 on Tuesday, according to data released on Wednesday by the Greek Defense Ministry’s Coordinating Body for the Management of the Refugee Crisis. The five Aegean islands hosting facilities are currently home of 15,222 asylum seekers and migrants, the majority of which are on Lesvos: 4,725 at the official state-run facility that has a total capacity for 3,500 and 188 at other centers. Chios is hosting 3,503 individuals, when it has an official capacity for 1,100, Samos’s facilities for 850 people have to cope with 2,414 and Kos is also stretched with 1,830 people living in a camp designed for 1,000, as well another 1,048 people staying at other facilities. Only Leros has manageable numbers, with 865 refugees and migrants staying at a camp for 1,000 people, as well as an additional 160 individuals in other facilities. 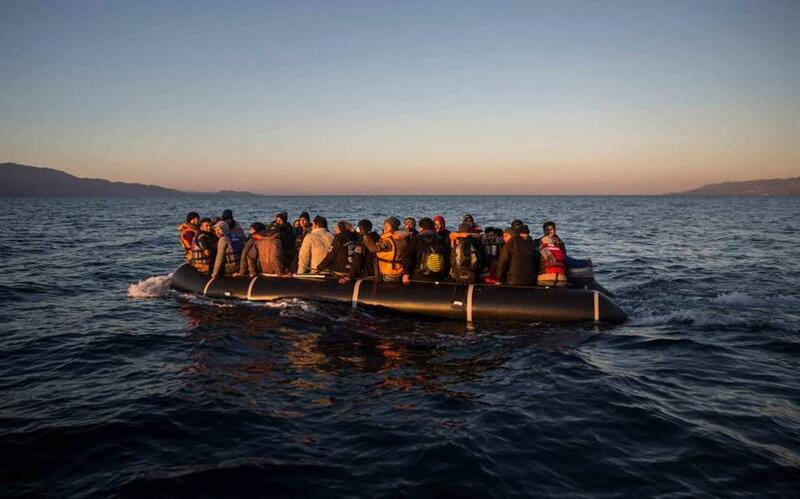 The agency further recorded 112 new asylum applications, 77 of which were on the island of Lesvos. As far as the mainland is concerned, the Defense Ministry data show that the vast majority of migrants and refugees are being hosted by the Greek capital at 7,610 individuals. Central Greece is also stretched, however, as its facilities are currently home to 3,356 asylum seekers and migrants. It is followed by Northern Greece with 3,192 and Western Greece with just 150.